Over the years, many inexperienced and ill-disciplined traders have incurred huge losses in the currency market. The good news is that you won’t be a loser if you can keep in mind the 20 forex trading tips discussed in this article. These tips will help you to not only avoid disasters, but also maximize your potential in the forex market. If you want to generate profits, you must have thorough understanding of the market. It is also equally important to have awareness about yourself. Therefore, the first step is to decide your risk tolerance level and allocate funds for forex trading such that it is neither in excess nor lacking. You need to carefully analyze and decide as to what financial goals you are planning to achieve through forex trading. What timeframe would you allocate for learning the nuances of forex trading through trial and error? How much time will you be able to devote for trading? What is your ultimate goal – financial independence or extra income? Finding answers to these questions helps you to have the clarity that is essential for taking a patient as well as persistent approach. Further, it will also be helpful in deciding if you should abandon trading altogether in case a risk/return analysis reveals that the chances of making profits are bleak. This is an aspect that most beginners neglect. 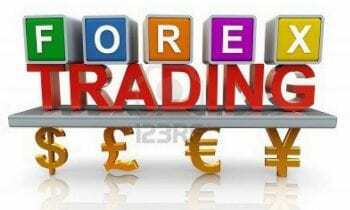 It is of utmost importance that you select the right broker to do your forex trading. You can work with an unreliable or scam broker only at the cost of your hard earned profits. You need to ensure that your level of expertise in forex trading and your goals match with the broker’s offer. Finding answers to some the following questions will of great help to you in this regard. What is the client profile of the forex broker that you are planning to work with? Does the trading software offered by the broker suit your needs? Is the customer service department of the broker efficient enough? Choosing an account package that suits your knowledge level as well as expectations is one of the important aspects of forex trading. The different account types being offered by the forex broker can cause a little bit of confusion in the initial stages. However, the thumb rule is that lower the leverage, the better. You can go for a standard account if you are good at trading and have a thorough understanding of leverage. If you are a novice, then you must study and practice for a while with the help of a mini account. It helps to lower your risk and increase your chances. Therefore, it is better to make conservative choices, especially when you are starting your forex trading career. One of the important tips in forex trading is to start with low investments as well as low leverage. You can increase the size of your account with the help of the profits that you generate and not by adding more funds. This is because the myth that a larger account is essential to make greater profits is not true. It is okay to increase your account size because of your trading choices, but it is not sensible to add funds if you are not generating profits. Forex trading is deep and complicated because of the nature of the markets and diverse characteristics of market participants and their purposes. It is impossible to become a master in all the financial trading activities that take place in the markets and it is, therefore, a good idea to restrict your trading activity to one familiar currency pair that you understand well. You can also think of starting your trading career with your nation’s currency. If you are not comfortable with it, then stick to one pair that is most liquid and widely traded, especially at the beginning. It is very important to strictly stick to this principle of doing only what you understand very well. Many traders have been doomed because of their inability to follow this rule. If you are unsure of doing something and cannot convincingly justify your action against critics whom you trust, never do it. It is not a good idea to trade on the basis of rumors and hearsay. You should open a position only if you are clearly aware of both positive and negative consequences. Common sense may prevail and prevent some traders from adding investments to losing positions, but in the history of forex trading many have burnt their fingers either due to ignorance of this principle or carelessness. It is not possible for anyone to predict the exact movement of a currency pair in the next one hour, day or week. Educated guesses can be made, but the only certainty is the current price of the pair. Therefore, adding funds to a losing position amounts to gambling. You will better off if you leave a losing position to survive on its own as per your original plan. Emotions such as excitement, greed, euphoria, fear and panic should not influence you when making trading decisions. It is easier said than done because traders are human beings. However, awareness about the ill effects that can come about if you succumb to such emotional influences can help you to restrain your actions on most occasions. This is one of the reasons why it is recommended that traders should start trading with small investments. When the risk involved is less, you will remain calm and better manage the influence of emotions in trading decisions. In order to be successful in forex trading, you need to take a logical approach without getting influenced by your emotions. Fundamental analysis, technical analysis or creation of strategies for forex trading is not the starting point for ensuring an analytical approach to trading. In fact, it starts with the first investment that you make in an open position and the mistakes that you make in the trading method as well as calculations. You must keep a journal of your trading activity so that you will be in a position to analyze successes and failures and decide as to what will work for you and what will not. If you have a mentor, this will be the most important trading tip that he/she will give to you. The importance of controlling emotions when trading forex has already been discussed. Therefore, making the trade choices and behavior automatic is a good strategy to minimize the influence of emotions. This does not mean that you must make use of forex robots or invest in expensive technology. What you need to do is ensure that your responses to similar trading scenarios or situations are the same. This is to say that instead of improvising, you should react to market events by following studied as well as tested patterns. Of late, forex robots that are neither tested nor proven are becoming very popular in the forex world. They only rake in profits for the sellers of these products and not the traders who buy them. You should not be tempted to buy such products and lose your money because if the creators of these magical products are very smart, they must first demonstrate by becoming millionaires using their own products. If they cannot do that, then you need not be interested in their products either. You don’t have to learn rocket science to become a forex trader. You also don’t have to be a genius in mathematics or economics to acquire wealth by trading currencies. However, you need to certainly have a clear vision, clarity of thought and well defined goals as well as practices to succeed in forex trading. In addition, you must be capable of resisting the temptation to overanalyze, over-explain and rationalize the failures that you may experience when trading currencies. Whatever be the conditions that led to a failure, you must understand that a failure is a failure. If you are a beginner, then you should never trade against the trends seen in the market or choose bottoms and tops by betting against the forces that create market momentum. It is better to work with the market trend so that you won’t get unnecessarily stressed. On the other hand, if you fight the trends you will experience stress and it can also spoil your career. Forex trading is all about applying probability theory and analyzing risk. No single style or strategy can help you generate profits in each and every trade. Therefore, you need to position yourself in such a way that the losses do not hurt you, but profits are multiplied. You need to manage your risk on the basis of an understanding of the probability theory in order to achieve this end. You must take into account failures and accommodate them as they cannot be eliminated at times. Further, you should never think that you are in possession of the alchemist’s magic stone since as it can eventually ruin your trading career. You can discuss with others about the others to understand the markets better, but the decisions as regards trading should be taken only on the basis of your own judgment. This is to say that you can take into consideration the opinions of other traders, but you must make your own choices because you are dealing your own money. You need to protect the profits that you make. Money management is nothing but minimizing losses and maximizing profits. It is not a good idea to gamble away the profits that you make with a lot of struggle. Therefore, money management should be the focal point of your trading strategy. If you are an experienced trader, you should not be surprised at the fact that this aspect is placed low in the list. This is because a faulty analysis rarely causes a trader’s account to be wiped out and a career that never kicked off is seldom killed because of the consequences of erroneous understanding or application of fundamental and technical factors. Issues related to management of money and control of emotions is of more importance to the beginners than anything else. As beginners gain better control on these aspects and start making profits, successful market analysis will help to boost their earnings. If you are risking only the money that will not create financial problems for you in case you happen to lose in trading, persistence and determination will be of great help to you to succeed as a trader. It is not possible to become a genius in forex trading overnight and you need to hone your skills to get good at it. If the learning process does not cause any pain in terms of derailing your plans and, in general, your life, you will be able to succeed in forex trading.